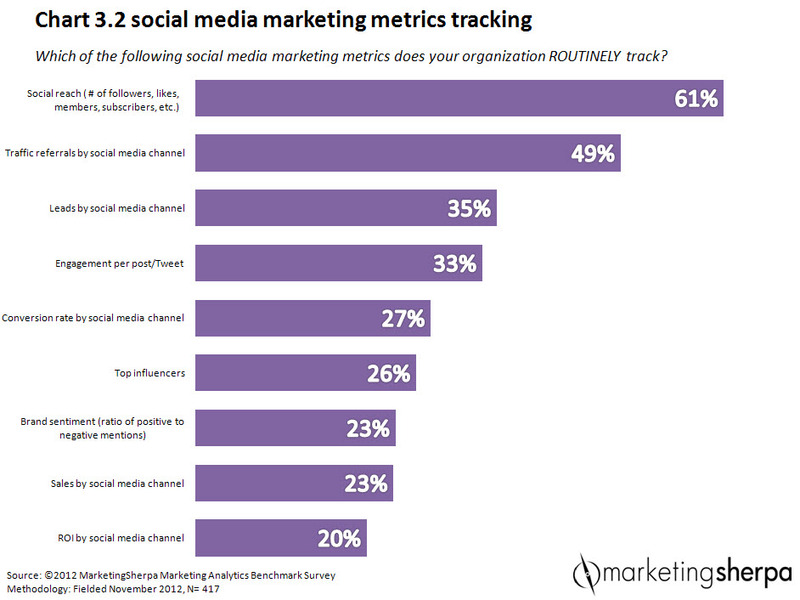 My last post here was about research showing most companies track social reach but only one in five tracks ROI (return on investment) by channel. So I’ve been thinking about how to do that. And this is the result, a study on tracking ROI on Facebook. Return on investment takes two numbers: the investment is what you spend. The return is what you get back. And both have to go from vague and intangible to specific and in dollar value. What you spend is tricky, but manageable. It starts with the time that you spend either yourself, or people you pay. Then add in Facebook ads if you use them, time to prepare whatever ads you use, and the time and money in advertising for Facebook likes outside of Facebook. It’s a finite number. You can get a reasonable estimate. If you like jargon, we’re aiming here for the cost per social action (CPSA). Estimate time cost per hour spent by dividing annual gross salary by 1,000. So the person grossing $50K per year costs the employer $50 per hour. Click here for details. Include yourself. Add the cost of related marketing programs. What you spent on Facebook ads is obvious. Also what you spent on coupons, or downloads, or freebies to generate likes. And if you market elsewhere for Facebook likes (like posters, or trade shows) add that in. Make a realistic estimate for what percent of a marketing program cost is owed to Facebook. What you get back, the return, is harder. It takes some judgment, estimations, and hypotheticals. The most valuable Facebook likes are those that start a relationship. For example, I like your page to get an ebook I want to download, I do, I like the book, and I become a customer. Other examples would include a Facebook like that generates a visit to a restaurant, or one that starts a trial subscription to a publication that ends up with renewal. The least valuable Facebook likes are fake likes, when programmers create false Facebook accounts and then program them to go like pages that pay them money for the service. A recent NPR piece said fake likes were selling for about $75 per thousand. They’re toxic, worse than worthless. Your business looks good at first glance but bad on closer inspection, when somebody decides to dig deeper. A fake like costs $0.075 but is worth a negative number when it exposes a business using sleazy tactics. Somewhere in between most and least valuable are the less defines Facebook likes that come from a real person clicking a link and liking a page. Maybe they are customers, maybe not. It depends on the type of business, the page, the call to action, and a lot of factors we don’t get to know for sure. Knowing the customer lifetime value (CLV) helps. This Wikipedia entry or this Google search will show you how to calculate CLV. I’ve dealt with two real-world examples lately: a gym has CLV around $450 and a subscription website has CLV of about $300. That’s not industry rules of thumb, those are two specific businesses. In theory you could calculate the value of a Facebook like by taking the percent of likes that end up as customers and applying the CLV. If CLV is $450 and 10 of 100 Facebook likes become customers, the value of a like is $45. Facebook likes can generate web visits that generate conversions to sales. It’s relatively easy to know overall conversation rate based on calculations that divide total traffic by units of sales. It’s also relatively easy to know how many web visits came straight from Facebook. But we don’t get to measure everything. The data gets fuzzy fast. What if my wife found the restaurant on Facebook, liked it on Facebook, but when we eat there we use my name and credit card? Remember the old days when the restaurants had cards with the bill asking where you heard about them? That doesn’t work. Even web analytics fall down when people bounce around the web a while before following up on something they saw on Facebook. There are lots of measurement gaps. Things that can’t measured can still have value. John Jantsch defines marketing as “getting people to know, like, and trust you.” A Facebook like might be an indication of that happening; but we don’t get to know. We have to guess. What’s the value of a negative comment on a Facebook site that alerts a business to a problem it might not have seen as quickly? We have to guess. Granted, some of these metrics are less than exact. But at least this gets you thinking about inputs and outputs, costs and benefits, and real business ROI. This entry was posted in Social media, Social Media Analytics, Social Media Business Plan and tagged CLV, CPSA, Facebook, Facebook ads, Facebook ROI, Fake Facebook likes, John Jantsch, NPR, ROI. Bookmark the permalink.